Jackpot Mobile Casino has some great offers for you. 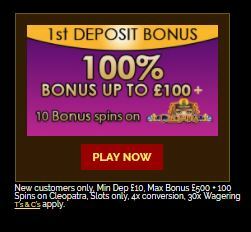 Make your first deposit of at least £10 and receive 100% up to £100. 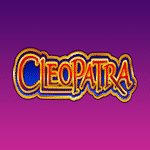 And that's not all, you'll also get 10 Spins on the amazing slot game Cleopatra so you can make the best out of everything. The bonus and deposit amount will need to be wagered 40 times prior to being able to withdraw. Hurry up because this type of offer doesn't last forever!